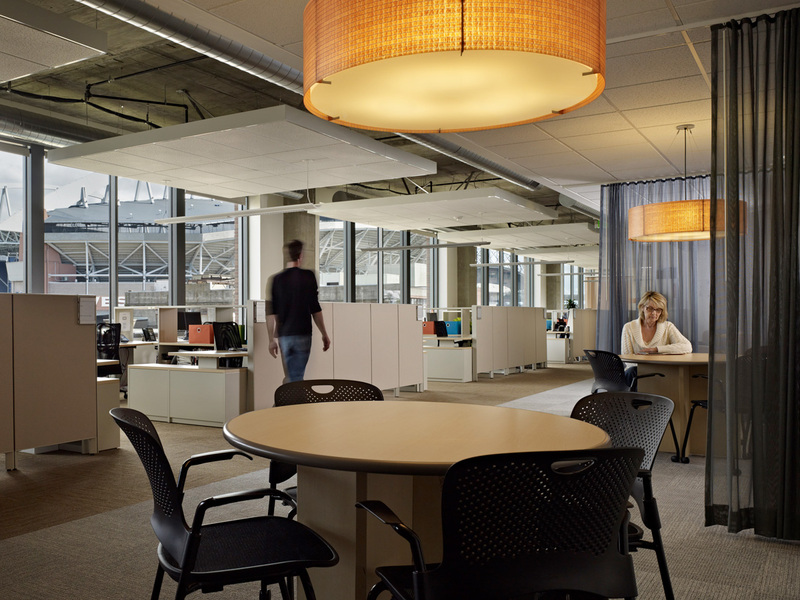 The tenant improvement consisted of the complete build out of 46,000 sf, Class A ofﬁce space in a cold shell. Schuchart provided project management, supervision, trade coordination and ﬁnish carpentry including custom casework and hardwood door/relite assemblies, and design build mechanical, electrical and communications systems. Recognized as the 2011 NAIOP Night of the Stars Commercial Office Interior of the Year.